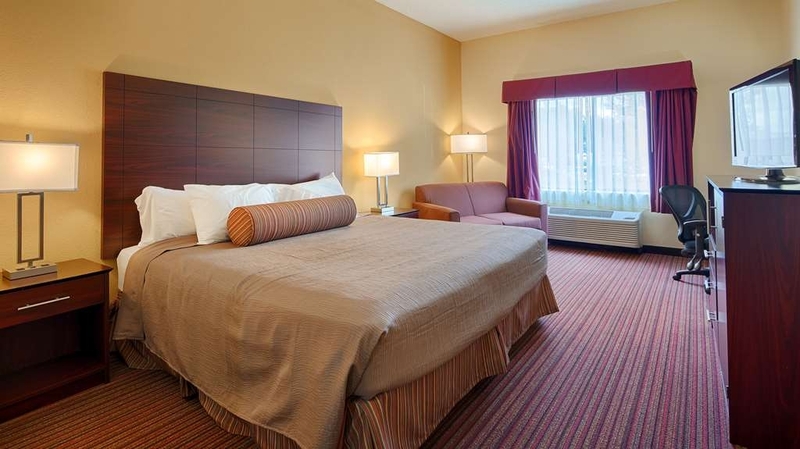 Das Best Western Executive Inn ist ideal in Seneca Stadtzentrum zu finden. Erleben Sie ein schöner Aufenthalt in der Nähe von alle Sehenswurdigkeiten. Bestpreisgarantie und exklusive Angebote. Willkommen im Best Western Executive Inn. 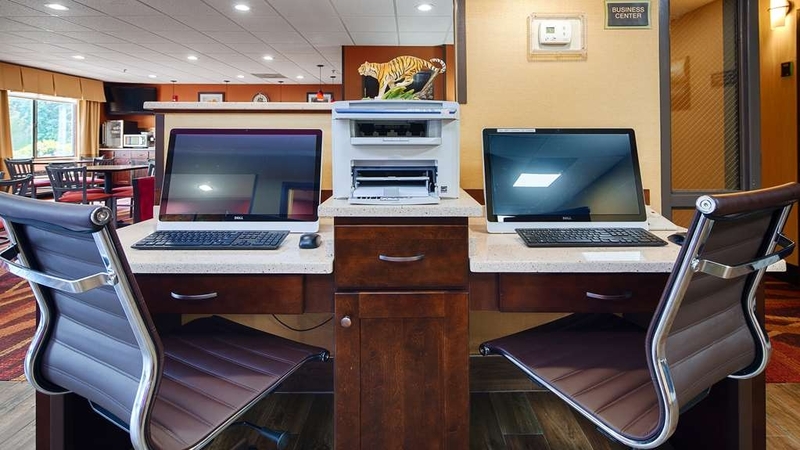 Unser neu renoviertes Hotel mit Innenkorridoren in Seneca, South Carolina, befindet sich nur wenige Kilometer von der Clemson University, Duke Energy® entfernt. Hier erwarten Sie komfortable Unterkünfte zu unschlagbaren Preisen. Wir bieten ein kostenloses warmes Frühstück mit Speck, Wurstpasteten, Eipasteten, Biscuit & Gravy (Brötchen mit Wurstsoße), gekochten Eiern, frischen Waffeln zum Selbstbacken, Joghurt, Knuspermüsli, Butter und Erdnussbutter, Frischkäse, Grütze, Haferbrei, drei Saftsorten, zwei Sorten Obst, Bagels, Brot, englischen Muffins, Zimtschnecken, Muffins und einer großen Auswahl an Garnierungen und Soßen. Saft und Kaffee sind zu jeder Tages- und Nachtzeit erhältlich, und unsere Rezeption ist 24 Stunden besetzt. Gäste können auch ein externes Fitnessstudio nutzen, das rund um die Uhr geöffnet ist. Mitgliedsausweise sind an der Rezeption erhältlich. In der Nähe dieses Hotels in Seneca befinden sich zahlreiche beliebte Attraktionen und Sehenswürdigkeiten, zum Beispiel die Seen Lake Keowee, Lake Hartwell und Lake Jocassee. Erleben Sie Wildwasser-Rafting auf dem Chattanooga River. Die frisch renovierten Zimmer sind ausgestattet mit Mikrowelle, Kühlschrank, Kabel-/Satellitenfernsehen und High-Speed-Internet. Ein Swimmingpool (im Freien), ein rund um die Uhr verfügbares Business Center und die Zeitung „USA Today“ sind weitere Angebote des Hotels. Für alle Reservierungen ist bei der Anreise eine Kaution im Wert von 200,00 $ zu zahlen. Wenn keine Nebenkosten aufgetreten sind, wird diese Summe bei der Abreise zurückerstattet. Wir bitten um Ihr Verständnis. I found this facility to be far better than average. Nothing too fancy as you would expect at this price but far better than other comparably priced places I have stayed. Rooms were clean and had everything I needed for my 6 night stay. Staff was friendly, courteous and extremely helpful. Even the daily breakfast was above average. There was really nothing I can think of to complain about. Rate was high for the local area...$107.00 per night...(nothing else available so I had no other options for my 27 day stay) Although I found the hotel itself to be a clean, Quality run by staff who were excellent...the owner MORE than Doubled the price of the hotel on weekends (Saturday and Sunday) to over $220.00 per night when the local College football team played its Home Games?...and had the nerve to state it was a "normal business practice"?...Really?....Normal?... I have been traveling for my job for over 3 decades, stayed in hundreds of hotels for weeks and even months at a time...and I have "never"... "ever" in those 3 decades had a hotel double my cost for any reason...let alone a college football game? (Apparantly this is the new norm in your Company's world? )I will no longer be staying in any of your Hotels for the horrible business practice Best Western has decided to adopt...and the Dozens of coworkers that I work with who also saw this agregious tactic agree... We have notified our companies and our Travel Agencies about this new "Business practice" and we are changing our reccomendations for future Hotel stays... Best Western will surely not be on the smiley face listA true SHAME and clear price gouging with undisputatable GREED! A bit disappointing but not dreadful. It's a Motel 6 with a Hampton Inn price tag. The internet didn't work with my smartphone, the bathroom counter is way too small, and everything seemed old. It was a quiet hotel, the staff is friendly and helpful. Next time we'll stay elsewhere though. The breakfast was great, the staff was friendly and the hotel was centrally located. However here is a little tip. Ask for the third floor for the best view. If you are on a lower floor on the west side you may have a view of a metal wall. The town has a Lot of great little stores and there is ample outdoor activities really close by. The staff here went above and beyond. 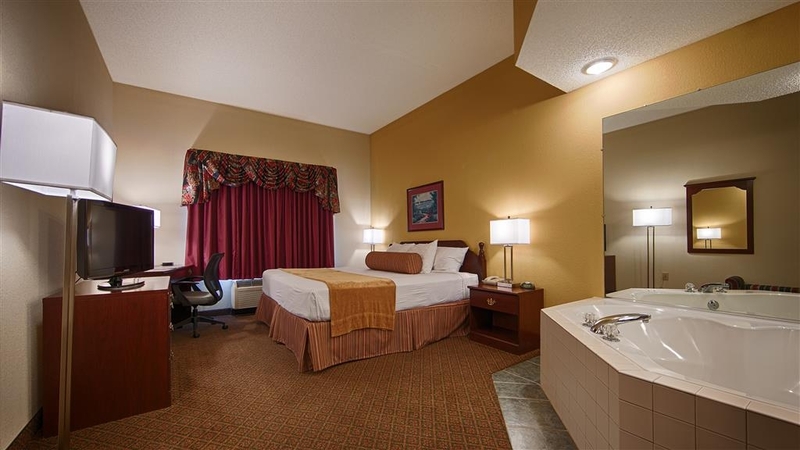 We stayed at the Seneca, SC Best Western Executive while visiting relatives. We were surprised at the free breakfast. Not just pastries, coffee and fruit, but cereals, fruit, breads and pastries, sausage, bacon, eggs, waffles, etc. No need to go out to breakfast all week. What a bargain! The room was clean and comfortable. We will be staying there for every visit to the area. We only use this Inn when traveling to our location and always bring friends and family with us during our visits...We also let others know of friendlessness of all the employees and their helpfulness as needed. 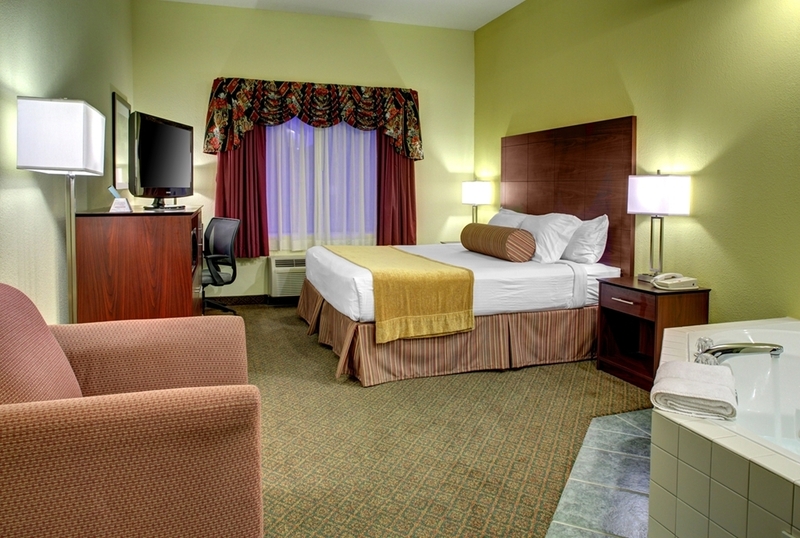 We have used Best Western Inn for the last six years and will continue to! Thank you to all. "Dried urine on my bedding"
As mentioned on all the other reviews you have written, we did not found any dried urine stains on our pads, we checked the old bed sheets that you had given to front desk, we did not found any cologne, we did gave you 30% off just for customer satisfaction. we do not agree with your assessment, you wanted entire free night which we disagreed. our lightning is perfect and have all LED lamps in every single room. we did not gave you a free night and that is the reason for your writing reviews at three different location. we still respect all customers and goes with retail proverb that Customer is always right. Stayed here with my son for his orientation at Clemson. It was just 'okay' and I possibly should give it 2 stars not 3. The lobby, drinking fountain near lobby, and elevator were very dirty. Our room was slightly cleaner than these public areas, but not much. The beds have old 'nubby' blankets on them and they are not triple sheeted for cleanliness. Yuck! I know those blankets don't get washed with every guest change-over. We didn't try the breakfast, so I have no comment. Pool area is small, but looked nice. Didn't use it. On the plus side, our room was very quiet. But this could be due to low occupancy. I don't need fancy, but I do need clean. Staff was very nice, and responded to our broken TV remote very quickly! "Great location, close to interstates, comfy and clean"
perfect location for quick trip to Fort Jackson. Hotel was clean, comfy and easy to find. Check in staff was wonderful. Friendly, professional, and helpful. there is a RR track nearby so we were worried about the noise, but we never heard it. There were also lots of people...packed hotel and no noise..Thanks! 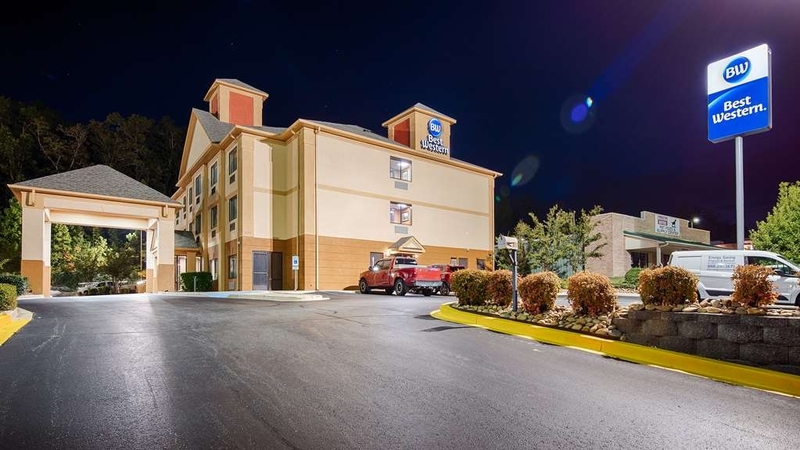 "Nice change from other chains in the area"
My husband and I travel to this area frequently and have stayed at hotels in Anderson, Clemson, and now Seneca. The Best Western is by far a sweet surprise. The rooms were clean and quiet. The hotel has been renovated and has nice furnishings...including microwave and fridge. The complimentary breakfast is superior to most complimentary breakfasts. The eggs actually taste like eggs rather than plastic. There is a wide choice of meats, cereals, yogurts, and breads. Coffee, tea, hot chocolate, and juice are available 24 hours a day. In the evenings the front desk serves warm cookies. The staff, including the cleaning staff, are cordial and friendly. They are willing to answer any questions and direct you to stores snd/or attractions around the area. While they do not have a fitness center, they will provide free access to a nearby fitness facility. Even though the pool was closed for the season, they have a fair sized pool that ranges from 3 to 5 feet in depth. We really enjoyed our stay and would hesitate to return to this hotel. The location is on a main highway near plenty of restaurants and shopping. Even being on a main thoroughfare, the room was dark and quiet - conducive to sleep. Hotel pros: interior rooms, very clean, quiet, nice complimentary breakfast with lots of hot and cold choices including fruit and yogurt. It should be noted that the hotel is a budget hotel and has few "bells and whistles". There is no workout room, though complimentary gym passes are available. No onsite restaurant and so no room service. The toiletries are via wall mounted dispensers which is nice from a green perspective but good to know in advance. Overall a good property, especially Brittany who worked the front desk and replenished/maintained the breakfast area by herself over the weekend. She was great - personable, helpful and friendly. Stayed here for our family/ grandkids visit to SC. This Best Western was safe, clean, affordable & friendly. From check in to check out, no complaints. We had a suite so the grandkids had space to move around. Staff was very professional & courteous. The breakfast was very good. Absolutely no complaints & we will certainly come back on our next visit. 5 out of 5. The hotel was clean and quiet and serviceable for a short stay. The front desk staff was friendly and accommodating. Breakfast is on par with other chain breakfasts in this rating category. Though the coffee was not up to par. Competing chains like hampton inn and have much better coffee and juice. The bed was extremely soft and could desperately use an upgraded and firmer mattress. One chief complaint - the nice Samsung flat screen TV in the room was connected via an analog coaxial cable rather than a high definition HDMI cable. I happened to be in town during the NFL playoffs and couldn't believe that in the year 2017, I was watching a grainy, analog TV picture. HDMI cables are under $3.00 on monoprice.com. Not bad for a small town hotel. Only stayed 1 night but overall it was just fine. Breakfast was a hotel breakfast so nothing remarkable! Room was adequate. Have stayed here previously and have no complaints. I had the wrong date for my stay and in 5 minutes they would not change it. Still had to pay for a stay I didn't need. The policy should be changed if a mistake has been made. I am very upset with this motel. This is the best hotel for the money in Clemson. We stay here a lot for games and ceremonies at the college and always enjoy. The food is good and the staff is fantastic. I travel a lot and I am impressed with how polite and thorough the staff is. They even helped us get transportation to the football game. Their breakfast is plentiful and the place is very clean. We've never had a problem and I've recommended several times to friends for staying over during football games. Service was spectacular, kudos to staff. Breakfast had decent protein options and was just fine. Actual room, however...dank, musty smell that was worse in the bathroom, ridiculously loud AC and a way too soft mattress that cratered in the middle. "Some GOOD, Some needs work." I stayed several days at the Best Western in Seneca, SC for several days. My room was clean and large. There was a constant noise from a fan in the bathroom, and a throbbing from perhaps an AC on the roof, so it wasn't really ever quiet. The room AC worked well. The Wi-fi and TV worked well. The complementary breakfast was well done and well kept. It offered sausage, bacon, eggs, and biscuits with meat gravy in addition to the waffles, toast, juice, etc. The elevator is desperately in need of maintenance. It makes loud noises which sound like broken wheels are likely to come off every time it moves. The hallways have video monitors everywhere. No privacy here at all. Smile! You are on Candid Camera. 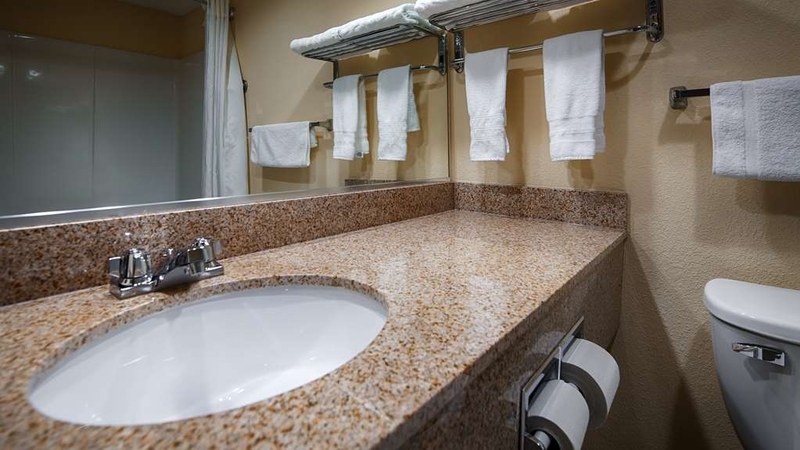 The bathroom was clean with ample large fluffy towels and nice shower. It did not have a urinal for men to pee standing up, nor a bidet for personal cleanliness. The bed was a little sagging in the center so my back hurt every morning when I got up. The TV remote quit working late on my last night there. Maybe the batteries died. I got up and walked over to turn it off. The ice machine was to small or not working well. It ran out of ice when I wanted a cold drink on more than one evening. Their staff was polite and helpful. This place is barefoot friendly. "Very clean hotel with nice amenities"
We stayed at this hotel during a recent parents' weekend at Clemson University. This hotel was new in appearance. Our room was clean and comfortable. There was a breakfast available with an adequate number of items. I don't feel that is was a great value since it ended up costing $290 for one night, although on a football weekend this was the going rate. Nice clean hotel. Reasonable prices. Comfortable clean beds. Friendly staff. Nice pool area. No outside street noise. Good breakfast that was good. Easy walk across the street to a nice steak restaurant. "Great hotel - Excellent rates"
The staff are professional, friendly and extremely helpful. 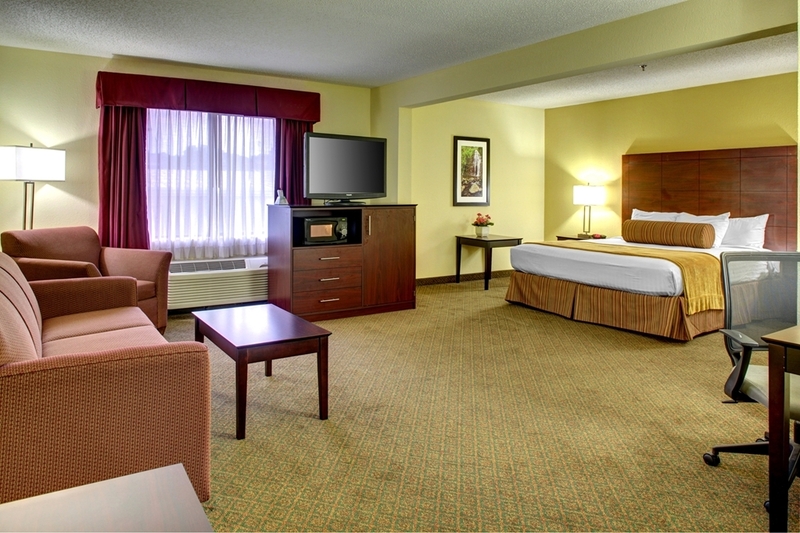 The room was well appointed and clean as well as being spacious. When I come back to this area, I will make it a point to stay here again! The high speed internet is complimentary and fast which is a necessity. The breakfast was very good and the staff was always available and ready to meet any need. "Eclipse visit to Seneca "
"Great place to stay on our way to our resort!" Clean, comfortable, friendly with a good breakfast to start our ride to the coast. We stopped in after a long ride. Good part of the country to see some wonderful scenery. Will stop in again when we are in the area riding. Very good service. The elevator makes a bang going up. The room was very nice. The A/C was pretty good. The bathroom was a little old but very well kept. Both stairwells were dirty and needed fixing up. This was a very good stay. I had a very short stay but it was all that I needed. Everything was in great shape and clean. Desk clerk was happy and helpful. Coffee in breakfast area was very good. There are restaurants next door on each side if needed. Beds are lumpy, over priced room for the quality. Pool area is gross bring your own chair and towel. Staff is the unfriendless people you'll meet. Food is cold as it is served to you,and no waffles.Horrible. Check other places before this one. While our daughter was at Clemson we stayed at this hotel every time. The staff is helpful and friendly and more than accommodating. The value is good, the rooms are clean and there is always a good breakfast. Definitely recommend! Very good quality. Called for rate and was given $10 off the internet rate. Room very clean and bed comfortable. Staff was friendly and very helpful. Have used this hotel twice now and will come back to it the next time I have to travel to the area. 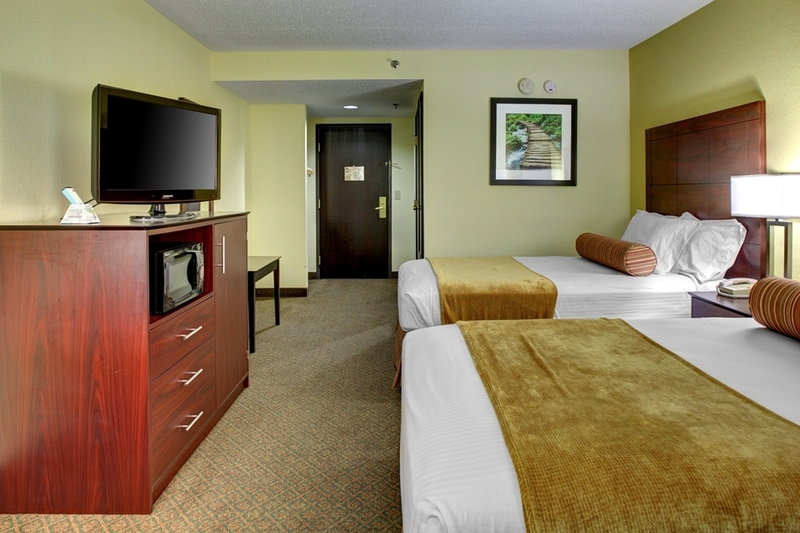 Thankful to find a clean, reasonable priced hotel near Clemson SC for graduation. I was very surprised about the rate increases that occurred for graduation week for all the hotels within 30 miles of the University. This hotel was easy to find and nicely maintained. I had a wonderful time at the Best Western in Seneca South Carolina. The staff when we checked in were very accommodating as we needed an early check in. We had just flown in from Calgary Alberta and we were extremely tired. The room was quite enough to have a nap. My daughter was able to log into the Wi-Fi without any problems. I found that it was an easy drive from Seneca to my next stop which was in Central South Carolina. When we came back we were able to find a parking spot near the door. The hotel was peaceful when we arrived. Once we were in our room we settled in the comfortable beds. We had no problems throughout the night. The breakfast in the morning was good. They had a selection of healthy food and the standard Best Western food. The checkout process did not take long at all. I am impressed that they took the time to send me an email with my invoice attached. All in all, I really enjoyed my stay. This location was very clean and decorated nicely. The rooms are very spacious but we had two full-size beds in the room which are very small to fit two adults on. The beds were extremely uncomfortable and none of the four people in the room slept at. There also was no fan in the bathroom so when you took a shower you had open the door to let all the steam out which then would overheat the room. Thank you very much for your time to do review. We have taken your review and checked the mattress, and the fan in bathroom is constantly on. "Nicehotel for area near university"
"Best Bang For You Buck"
Hotel was clean. They did not honor my request for extra towels in room. I asked for fresh cookies, I was told they were not making any more. Located next to a huddle house and a gas station. Breakfast was good. Elizabeth is great. Very friendly and helpful. "A very nice and friendly stay"
In town for a family event, this was our first stay at this Best Western Hotel. The place was very clean and the staff friendly and helpful. Check in and out very smooth and quick. Breakfast was nice and the person there kept all the tables cleared and the area spotless. The room was comfortable and quiet. We recommend this and will stay there the next time we are in town. Elizabeth did a great job! We had a large school group in town to visit Clemson University. She was ready for us when we arrived and again in the morning for breakfast. Check-in and check-out was extremely smooth. Give her a raise! "A little extra effort makes a difference"
The hotel itself is reasonably priced, clean , recently remodeled, and conveniently located. What made a difference was that while John was a new employee, learning the process, Deion, (forgive my spelling) was right there, helping with the learning curve, attentive, cheerful, and professional. The appearance and style of these two gentlemen made me feel welcome and comfortable. In these days of casual everything, these guys added a lot of class to this nice hotel. Very nice staff. Room was very comfortable and clean. Hotel undergone recent refurb. Breakfast was good and area was clean. Very convenient. I would recommend this to anyone in the area. Good meat and three restaurant close by. Did not expect this hotel to be that nice. Room was very clean and freshly painted. Breakfast was good. Service was also very good. Convenient to Clemson games. Will try again in the future. Good location in Seneca. "Nice place near Clemson and the mountains"
The Best Western in Seneca is a very nice hotel. They have a very friendly staff. I stayed in a neat and clean room. Very convenient to the restaurants in Seneca Very nice breakfast. I would definitely stay here again. 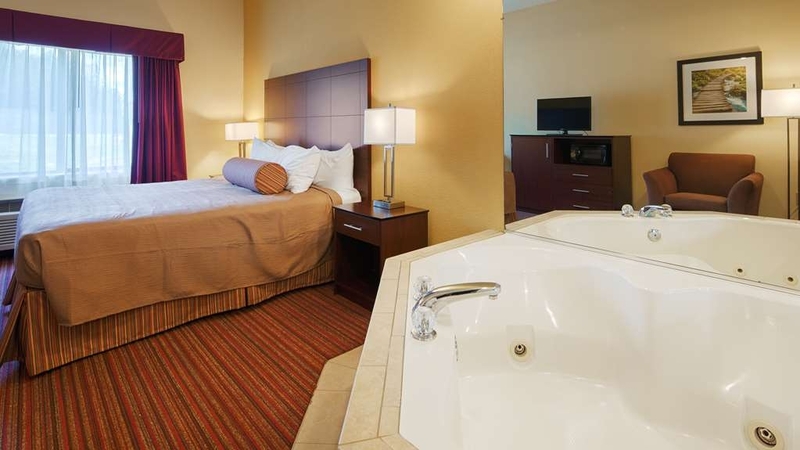 I've never stayed at a Best Western and probably will not seek out another one, but this one is actually pretty nice. Not sure about all the rooms but mine was recently renovated and had brand new everything. The lobby was updated and was very clean. I would definitely recommend if you are considering this place. 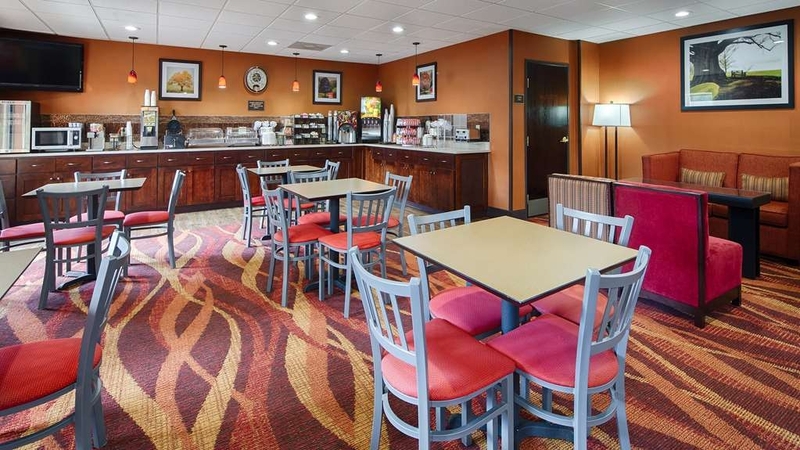 "Nice hotel close to Clemson"
Very clean, very quiet and convenient to Clemson. There is fresh fruit at the breakfast. The staff was pleasant. We will use this spot again for Clemson event weekends as it is more reasonably priced than many other hotels in the area. Thank you for your review. we are glad that you liked our facility. we hope to see you again soon. Thank you very much for your review. we are glad that you liked our facility and we will continue to improve. 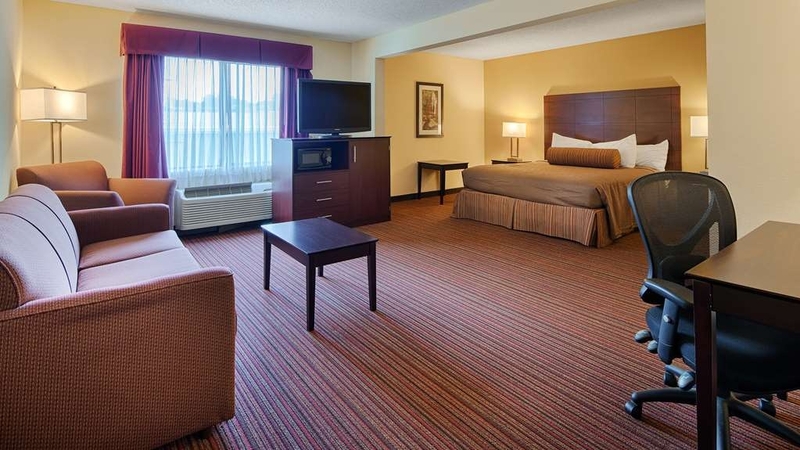 Best Western in Seneca was very comfortable, clean and convenient to our business needs. The housekeeping staff were excellent as was the front desk staff. The rooms were spacious and the pool was excellent. The only disappointing aspect of our stay was that there was no fitness facility on site. They did have a membership off site that you could use but you needed a car to get to it and wasn't within walking distance. This this is an Executive Hotel & Resort I feel they definitely need to have a fitness room for guests. thank you for your review. we have no space where we can make a gym at the property. we do have 24 hour access to the gym, but you do need a car. First of all book adjoining rooms they gave the rooms away .so my teenage daughter are across the hall. Then I try to take them to pool. But there have been a group of people drinking alchol all afternoon. No one saying anything to them .I payed alot of money to stay here and nothing rite. I will never book thru there website again.I would have left and went to another hotel down the street but they took my money three weeks ago when I booked.never again I will stick with Hampton inn. Thank you for your time to write review. we do not have adjoining rooms with two double beds. you have to check room types when you are booking the rooms. secondly you booked 2 weeks ago from third party website which always charges you the moment you book the room. regarding the pool incident, our swimming pool is not manned. we were not aware of any incident. but if any one makes us aware we will talk to guest. we could have done nothing about it as we have not adjoining rooms with two double beds. Although this hotel is somewhat clean, the staff is absolutely horrible. I took my wife and two kids there. We were whitewater rafting and zip-lining at a local adventure center. This area is filled with beautiful outdoor activities which require a shower upon your return from having fun that day. When we returned late from a day in the woods, we all needed showers. I approached the front desk manager with 4 used towels and asked if I could have six to replace them. Two for my daughter and wife who use one small towel for their hair, one for their body. My son and I just needed one apiece. The front desk manager said, "no". I could only have two. I said "but I am returning 4." She said I could only have two and made some other rude comments. (Along the lines of doubting I needed six towels.) Once I saw that commonsense was not going to prevail, I asked for her name. She refused to give it to me. The next day I told the day manager about my situation. She understood and said she would see what she could do. She never contacted me. So, please stay here at your own risk. The staff does not care about the comfort of their guests. Very clean and comfortable! Pleasant staff. Nice room with comfortable beds. Very clean bathroom. Clean/clear swimming pool. I have stayed there before this trip and would recommend staying there again.. Very Reasonably priced. thank you very much for your review. we appreciate your business. This hotel served a purpose during our time at Lake Keowee. Nothing super fancy or renovated. Just your standard hotel room at a decent rate and it is close to the marina we were using. 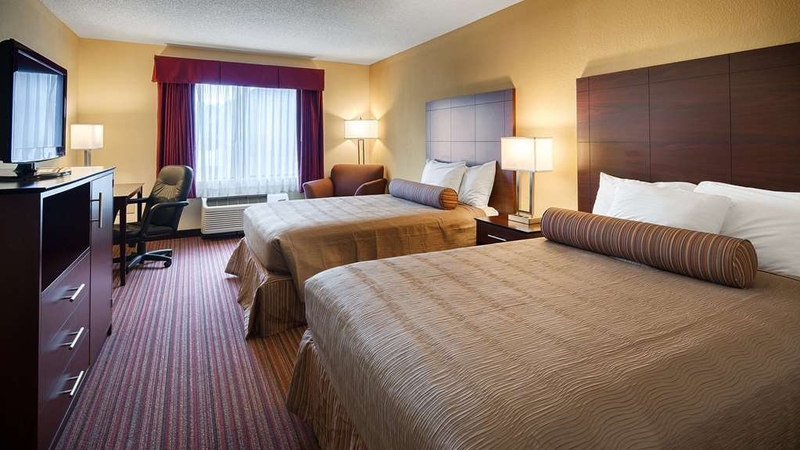 If you need a budget friendly hotel for a quick stay, this is a clean hotel with comfortable beds. My family and I stayed at this hotel this past weekend. It wasn't the best experience we've had, but wasn't the worst either. I reserved the room through Priceline. When I asked if I could get two double beds (there were four of us), I was told since I booked through Priceline I could only get a king bed and the double bed was a more expensive room. I figured we could manage. My son ended up sleeping on the floor and my daughter slept between my wife and me. Then, when we got to the room we realized they put us in a handicap accessible room, which was a little odd I thought. The hotel didn't seem to be full, so I don't know why they couldn't find a room that wasn't handicap accessible. I just felt weird taking a room that might have been needed for a handicap patron. On top of that, the bed wasn't that comfortable to me. My wife said she slept alright, but it felt like an old spring mattress with no padding. A big disappointment was the pool. After spending the day out in the heat we were looking forward to a dip in the pool. When we pulled up to the hotel, however, there was a company there putting chemicals in the pool. My wife took a look and said it looked a little "green". As we headed out to dinner we took a look and the water looked very cloudy, so we skipped the swimming. The breakfast was decent. Plenty of options and the employee running the area made sure the guests had everything they needed. In fact, overall the employees were pleasant. Ultimately, would we stay here again? For the price, yes. We ended up paying less than $100 including taxes. So if you're on a budget and are willing to sacrifice a little it's a more than adequate option, but I don't think it deserves more than an average rating. "Pool Area Closed; Funky Odor in room"
I had originally booked this hotel for three consecutive weeks. After 2 nights, there is no way. There is no exercise room and on check in there was apparently a sign that read that off site facilities were available. The pool area was locked, the pool was empty, and there was no place to really go outside to relax. The room had a funky odor..just smelled dirty. Some of the lights were without bulbs and couldn't decide whether the sheets were old or just dirty. 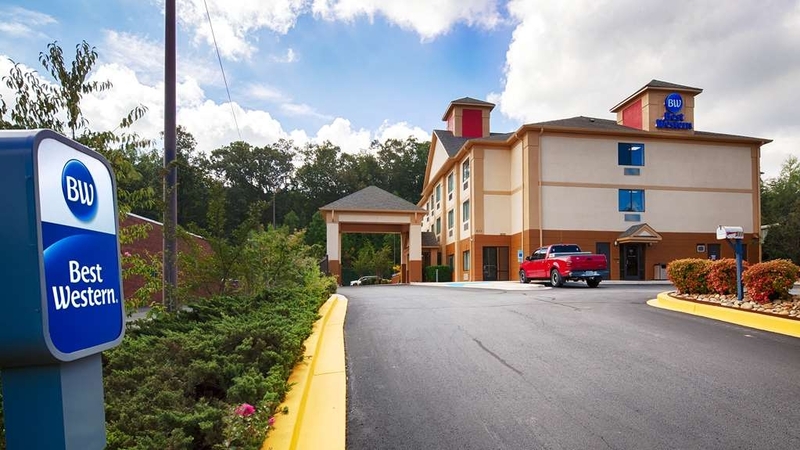 If you are in need of a good, basic hotel in the Clemson - Seneca area you won't find one better than this Best Western. 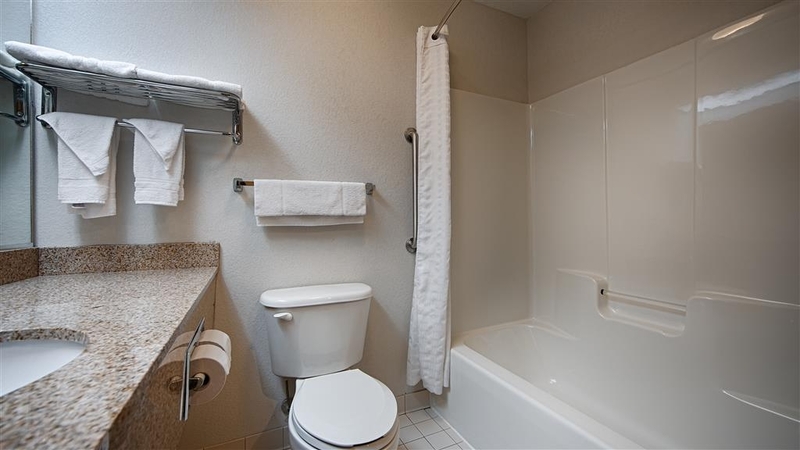 You don't get scenic views, but you do get an up-to-date, clean, highly efficient room with all you need for a safe, pleasant night's stay! 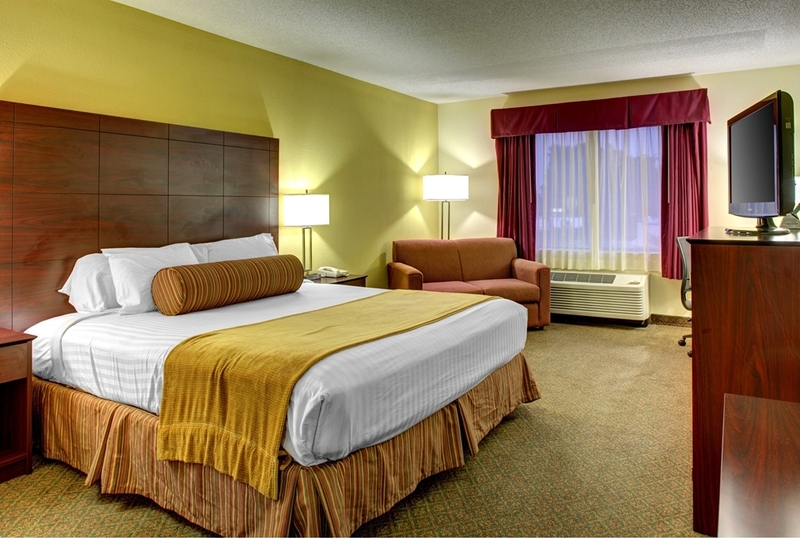 The hotel is conveniently located within close driving distance to restaurants and other retail stores. Clemson is a short drive from Seneca so this hotel may allow you to save a few bucks if you are visiting the university. Highly recommended based on my recent stay! This property is ideally located for business and visits to Clemson. The area has several good restaurants and near the business zone. The building is undergoing a refresh which is very pleasing. Staff is very friendly and professional. Great value! "Staff are the best anywhere"
I stayed for 8 weeks and my room was very clean along with the rest of the hotel. The best part was the staff. Always friendly and personable. Breakfast was always ready in the morning before they stated at 6:30. Nice parking and it felt safe like home. "Decent Hotel not too far from Clemson"
I have stayed here before both solo and with my wife and have few complaints. Staff has always been friendly and helpful. The rooms have been clean and comfortable. The drive to the University is approximately 15 minutes and is an easy drive to tailgating areas. I stayed here a couple of months ago and the room was so unexpectedly nice for the money I took a pic of it to send to my wife. It was clean, quiet, well situated in Seneca and the breakfast was much better than other places I had stayed on my trip. A nice clean room, with a very comfortable bed, and plenty of space. The "help yourself" breakfast was good too, with nice fresh fruit and yogurt, as well as warm egg and bacon, biscuits and gravy, a waffle machine, a couple of cereals, and plenty of things to toast. The stairway and corridors are not quite up to the standard of the rest, but they are the least important. The staff were cheerful and friendly. Thank you so much for your time to do the survey, we just finished renovsting our corridors and hallways. we also painted our staircase rallings. breakfast is our most important focus as you want to start your day right. Nick and his staff at this hotel always insure that check-in and check-out are quick and smooth. I have been staying there, mostly on business, over the past 18 months and have never had any issues with my room or with customer service. Breakfast is always hot and fresh! Because I travel a good bit, I always appreciate a place that I can rely on to be always consistently good! "Clean, affordable, but chemical smell is pervasive"
This is the end of my second two-day stay here in the past two weeks. The first time I was on the third floor, this time I am on the first at the opposite end of the hotel. The check-in is efficient the rooms are clean, the furnishings modest but in good shape, flat screen TV, microwave, small fridge, free wifi. I will never stay here again. The first time I thought it smelled like roach spray, although I have not used it in forty years. This time it smells a bit more lemony, but it irritates my nose and makes a bad taste in my mouth. When I was on the third floor I kept the windows open for a while, but I can't do that on the first floor. I would not recommend this hotel if you are at all sensitive to odors or chemicals. "Convenient and Clean Hotel in Seneca"
If you need a nice hotel that doesn't charge an arm and leg, then this is the hotel for you. 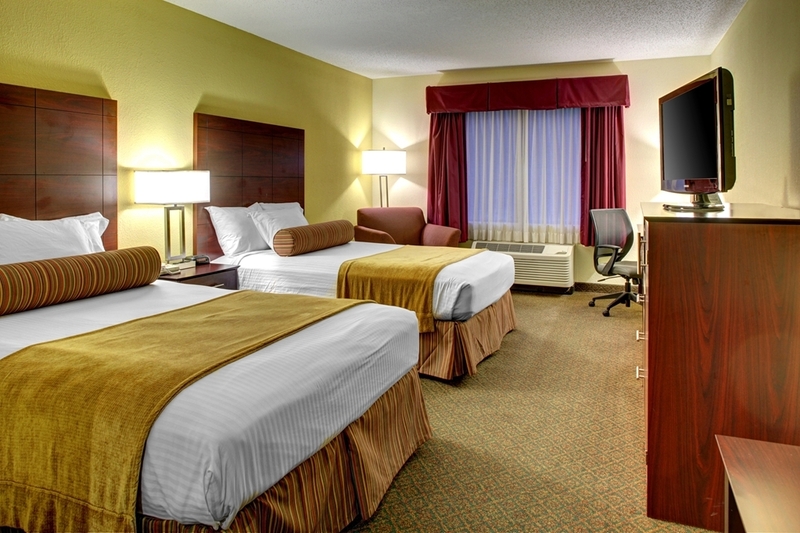 The staff is friendly and helpful and the rooms have been updated and clean. Not a whole lot of noise from your neighbor, unless they are really loud and slamming doors (which hasn't happened at this hotel, but I have stayed at other places where this did happen). "Horrible guest rooming next to me"
Everything about my stay was great......EXCEPT....my guest rooming next to me. They kept me up all night yelling, cursing, and fighting. If I did not have to get up early the next day....I would have waited for the cops to come. I really didn't want to get involved, they scared me because of how they were behaving. However, usually my stay at Best Western is great! I have stayed at this hotel on mutiplel trips now over the past year. The staff continues to be very helpful and friendly. The cleanliness and amentities in the rooms are excellent. I intend to continue to stay at this hotel for all future trips to the area. We enjoyed our stay. The staff at the front desk were very friendly and informative. The hotel has been recently remodeled so everything was fresh and new. We had a Jacuzzi room and it was romantic and fun. The breakfast was a typical continental breakfast not the worst but not the best. We did a boat tour of Lake Jocassee so this ended up being a really inexpensive weekend getaway. We would definitely come back. "Nice find without a reservation"
Arrived late on a Saturday with no reservation. Spending the night before going diving at Keowee the next morning. The reception clerk was very friendly ( Elizabeth I think), checked us in efficiently and gave us a great military discount rate. I asked get about recommendations for food and she suggested the Seneca Family restaurant next door. That was an excellent suggestion. Room was very clean, shower had plenty of hot water and pressure, even had a shower massage. The continental breakfast was good. If you're looking for a gourmet breakfast it won't due, but it had breakfast meats, make your own waffles, toast, bagels, cereal. Just a decent breakfast to get you started. Check out was smooth and no problems. We will definitely be back in the future. Thank you so much for giving us feedback on how you liked it. it was a very difficult period during renovation. we are almost done and most guests is going to like what we have done. Stayed here because room doors were inside, Motel was mid renovation, strong chemical smell, old lingering smokers smell in hallways. Ice machine out of order, only 1 towel, wash cloth, hand towel per guest per night. Soap and shampoo dispenser in shower/by sink, lotion smelled old. BED WAS AWFUL, stayed two nights and can barely walk and this is 3 days after check out, been taking meds round the clock and heating pad no relief, guess a visit to the Dr is in my future. 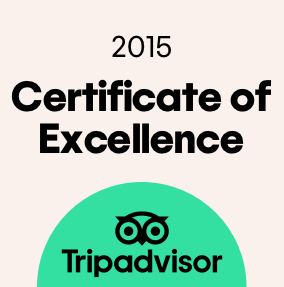 Staff was very friendly, cheerful and happy to assist. Overall everything was "OK" bad bed has really made this a bad experience for me. I have to be in this area now at least once a month, definitely going to look at other options. "Worst hotel experience in years"
Hotel did not inform me in advance that the very floor on which my two rooms were located was being renovated. All of the smoke detectors in the hallway of my floor were completely covered with tape -- a big safety hazard. One of the bed sheets had a blood stain and pubic hair on it. Several commercial fans were blowing all night in the hallway outside our rooms, making noise. There was an unpleasant odor throughout our floor and rooms. Decor was poorly done. I will never stay in this hotel again. Hello, Yes you are correct that we did not inform about the incident that just happened two hours beofre you arrived. we had a leak up in the attic and due to that water came down the stairs, our fire department was completely aware of this situation and fire alarms were taped to avoid fire. we did refund 50% of your stay for your inconvience. we sincierly apologize for this. Stayed here one night during a Clemson home game weekend. It was a little shabby, but clean and surprisingly comfortable. I would probably stay here again. It is close to everything and reasonably priced. Stayed here during a Clemsom home game weekend. Fair price and much quieter than expected. Would stay here again. Nice breakfast selections and close to the lake. Good for families. King sized bed available...all non- smoking. This was a pleasant visit it was a pretty good price for the time that I needed ,the staff there was Awesome, they accommodated to all requests, when I go to another Clemson Football game, I will go to this Hotel, my 1st Choice! I stay here several times for business. The cordiality of the staff, location, breakfast variety, clean bathroom and comfortable bed meet my needs. I recommend it to my clients every time they come to visit our factory. I enjoyed my 2 day stay. The room was clean and the bed was comfortabke. Shower was hot. Nothing spectacular but certainly a nice place to stay while visiting Clemson. Publix across the street. Lots of nearby food. "Worst Best Western I have stayed at"
Why is this hotel getting one of the worst ratings I have ever given. Because it's 1 am in the morning as I am writing this. This is the second night in a row that it has been so noisy that I am unable to sleep. My room has a door that connects the room beside it, so common sense would tell you that the sound from each room will travel. Well how about the hotel staff use common sense and unless you are completely booked which out of sixty something rooms they may have ten guests tonight don't put someone right side beside when there is a giant hole connecting the two rooms. I am down here working we are sitting up a new retail store so 12 hours of lifting and walking and all I want to do is come back to my hotel and sleep, but since I can't it is very frustrating. I honestly want to just check out right now and sleep in my car if I had brought the SUV and not the sports car I probably would have already. I would change rooms but at 1 in the morning you just don't feel like getting dressed, packing all your things, moving rooms then unpacking all your things just to get up at six in the morning and do it all over. 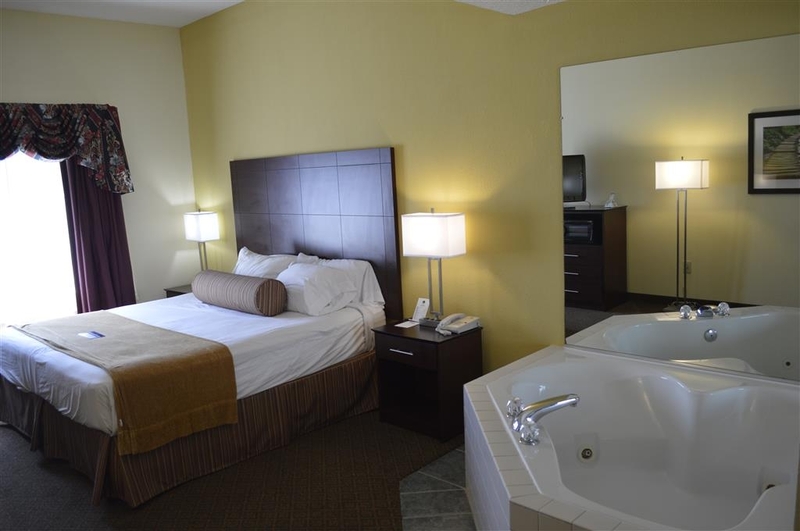 When making reservations make sure you are aware of Jacuzzi rooms. They can be very noisy and shake the walls. Next time we will ask to be as far away from them as possible.The rooms are cozy and clean. And the breakfast choices very good. Attendant in the morning is very accommodating. thank you very much for your time to review. "Best Western for this western Upstate area"
Booked hotel for hubby who was participating in a 3-day bike ride that started each day in Seneca. Needed a place close to the location (RAM Cat Alley which had a bunch of quaint places within a couple of miles). This was ideal since price was reasonable and included wifi and breakfast (though he has gluten/dairy allergies, Kevin - staff was nice on the phone to mention there were fruits and egg options though the waffles/breads/etc would not be good for him). Yet his room came with both mini-fridge and microwave which was perfect since he would have his own food supply. Room was large - 2 beds, spacious. Staff for check-in was friendly. Wished we knew in advance that the fitness center was not on-site though and he said the toilet seat which normally is held with two pins, was missing a pin when he first used it, which made the seat shift. Riding 200+ miles by the second day, apparently more than his own seat was fatigued and the toilet seat lost its second pin. He probably could have called for them to fix it but was exhausted and prepping for the 3rd day ride. Lots of restaurants within driving distance and even grocery store (Ingles) a few miles away. Didn't realize that Duke Energy's World of Energy is maybe 20 minutes away, incredible scenery of lake too. Hotel was very clean. Check in staff very friendly and helpful. The bed was moderately comfortable and the room smelled clean. The breakfast was enjoyable but did not have any sugar free syrup for the waffles. The fastest and easiest check-in and check-out process I have ever had at any hotel. Great location, very clean room, comfortable. I would recommend this facility to anybody for any reason they need to stay the night. "This place could be nice with a few changes"
We opened our door to our room and the musty, damp odor slapped us in the face. "Is this a smoking room?" I asked my husband. He told me the whole hotel was nonsmoking but the room smelled like someone had been smoking in it! The A/C unit was blasting damp air and everything felt boggy in the room. Not at all cozy. The bed was covered with two dingy, very worn sheets wrapped around the most disgusting blanket I had ever seen. I spent all night trying to keep it away from my face. I dislike hotel bedspreads but nasty sheets are no substitute for a duvet when you are paying over $200/night. The toiletries were in canisters hooked to the wall. Who even know what kind of shampoo or soap it is? The closet was a half rack by the door. The finishing touch, we couldn't get any of the the channels to work. In fairer there was a channel card listing all the channels and telling us that all Best Westerns are indivually owned and channels may vary from tv to tv and are only available on high def sets. There was a working mini fridge and microwav which was nice. Plenty of outlets to charge devices and a full length mirror. Free wifi. The owners of this hotel need to invest in duvets or new sheets and blankets. Even though the room was clean you charge too much to have toiletries on the wall and certain details just make people feel like a placei is dirty. "Not the Best for the Money in Seneca, SC"
Prices were overpriced, due to all other hotels in the area being booked. Food offered at "Breakfast" consisted of pork and more pork, and pork sausage. Serve turkey, turkey sausage, turkey links. Error made at desk, locked out my bank account for 12 hours. Pool was NOT being maintained, was filthy, with lawn equipment broken or in the pool. "Best hotel to stay for the price"
I always stay at this hotel when I visit Seneca, SC for my business. This is the best hotel to stay for the price. Breakfast and free WiFi is included in the rent. The location is very convenient. I would strongly recommend the hotel for any visitor to this area. I must say this is a good hotel, in a quiet location. I have no complaints about the room. Everything was working. The bathroom is clean, towels are good. This hotel is also good for budget, it will not break your wallet, and still quality. The staff is courteous and knows the area. Wifi is fast, no issues. I am not a fan of their breakfast though. Will return and recommend to friends and family. "It was okay for an overnighter." You get what you pay for. It wasn't bad, just not great. The room smelled musty but other than that, it was just okay. We had a bottom floor room and it wasn't noisy either. We missed the breakfast so we can't comment. thanks a lot for your time to write a review. we appriciate your feedback. Probably the worst continental breakfast I can remember. Poor selection and food was not fresh. Pastry was stale. Attendant dumped apples from a bag, dropped one on floor and none were washed after removal from bag. I could not eat the breakfast and coffee was terrible - weak. Rooms were ok. Prices were tripled for football game so could they have at least upgraded the breakfast for one day or at least used fresh items and brought in some decent coffee.